Holy moly, the Wet n Wild Fire and Ice collection has A LOT to see. So much so that my review is admittedly long over due. But, what can I say? I’m committed to giving the most honest reviews possible and to do so means taking the time to thoroughly test everything out. And…test everything out did! Over the last several weeks, I’ve been virtually wearing the Wet n Wild Fire and Ice collection nonstop. The two eyeshadow quads and four loose pigments included in the box set alone gave me more than enough to play with for days on end. 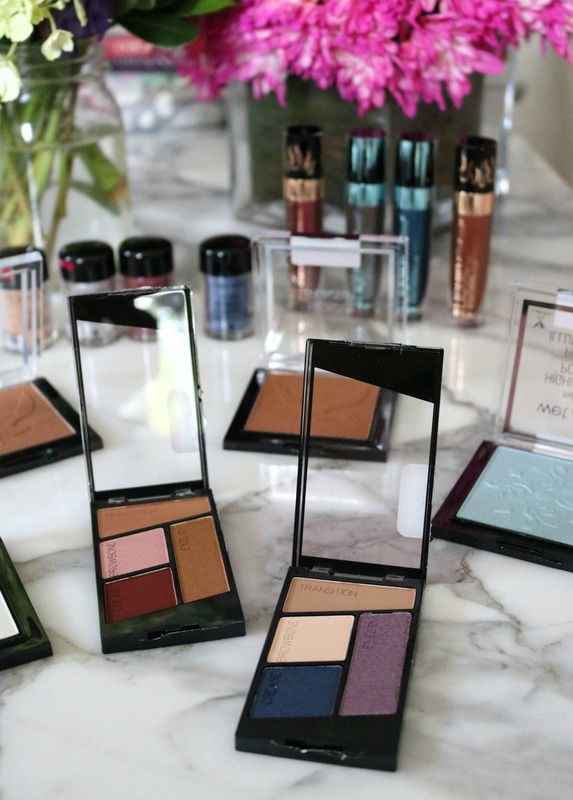 Add to that metallic liquid lipsticks, blinding highlighters and matte bronzers and I was basically in heaven digging into everything this dragon-inspired collection has to offer. As always, I have to give props to Wet n Wild for delivering cruelty-free products at such an affordable price before I get into anything else. It continually blows my mind how they manage to create such innovative collections at such an attractive price point and it can’t be praised enough. They are truly slaying the game!! The Fire and Ice collection in particular caught my fancy because of the divide between warm and cool tones. As someone who tends to gravitate towards more warm tones, it was especially fun to dig into the more dramatic icy pieces of the collection to step out of my comfort zone a bit. Given just how large the Wet n Wild Fire and Ice collection actually is, I confess it took me a minute to consider the best way to even share a review. In the end I think we should walk through each category of products one by one. (Starting with the eyeshadow palettes because you just know I’m obsessed with eyeshadow palettes). On that note…I hope you’re ready to dig in because there is a lot to see! 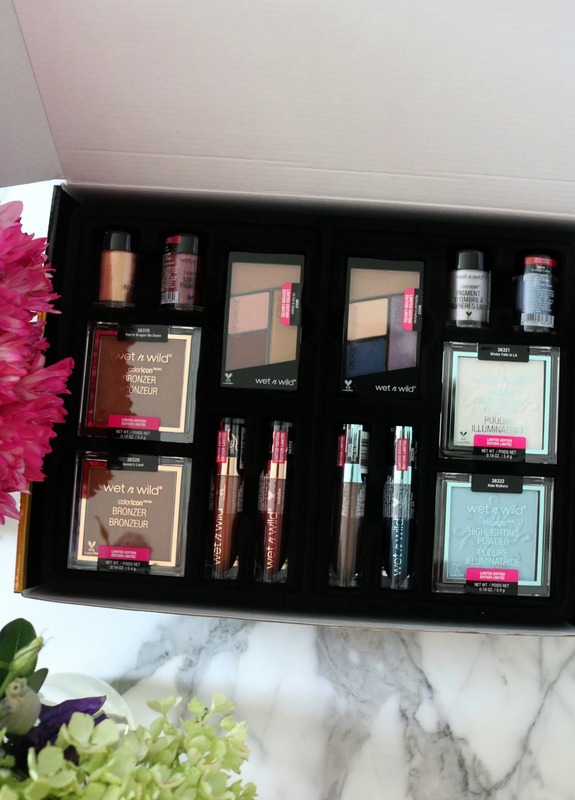 Get cozy, make yourself a cup of tea and join me for a walk through the Wet n Wild Fire and Ice collection box set. Immediately upon opening the box-set, the warm-toned “Fit for a Queen” eyeshadow quad is what I reached for first. Included inside I found a beautiful matte rust-burgundy shade that is exquisite all over the lid for the fall season…or worn in the crease as advised by Wet n Wild themselves. Of course it wouldn’t be a queen-inspired palette without a beautiful gold and the one in this palette is fantastic! While there is a shimmer to the shade, I had absolutely no issues with fallout and it blends very nicely. Not to sound too much like a rule breaker here, but I vote the “brow bone” pink shade is another one perfect worn all over your lid. When you’re in a rush and don’t have time to blend out shadows, it’s great in a pinch to apply all at once…even with your finger. And who doesn’t like the sound of a 10 second eyeshadow look? In terms of “quality” I found the shadows of the quad were each nicely pigmented, lasted through an entire work day and blended beautifully. I can even attest that the shadows have survived my water bootcamp classes on more than one occasion. Now THAT’S impressive. First off, how striking is the blue shadow? 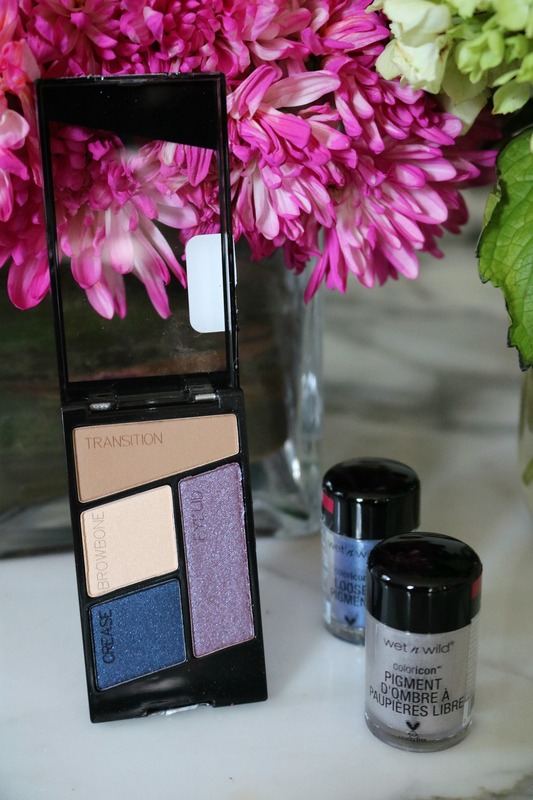 I know, I know…blue is a bit of a taboo subject when it comes to eyeshadow but I wager this shade is so great it will change your mind. In addition to the royal blue the quad includes a cool-toned matte brown that’s perfect for blending, a matte cream shade that works well on the brow bone or worn across to lid to neutralize your eye look and a violet purple. The violet purple is where I have to issue a warning. Where the warm-toned quad had absolutely no issues whatsoever, I did have quite a bit of trouble making the purple shade work. No matter how much I tried to load product on my brush, it just wouldn’t budge. Ultimately, I had to use my finger nail to “break into” the violet shadow to be able to get any use of out it. There is definitely a problem with the top layer of the purple. Granted, the other three shades had no problem and the price makes it well worth the trouble anyway…but it definitely bears mentioning since the Fit for a Queen quad in the collection was smooth sailing! If you’re a fan of MAC loose pigments, you’re going to LOVE these because they’re every bit as good…only with BETTER packaging. Of course in addition to the smart package design, the pigments themselves are incredible. I played around with these several days, trying each of them out on their own and even combining them for blended eye looks. 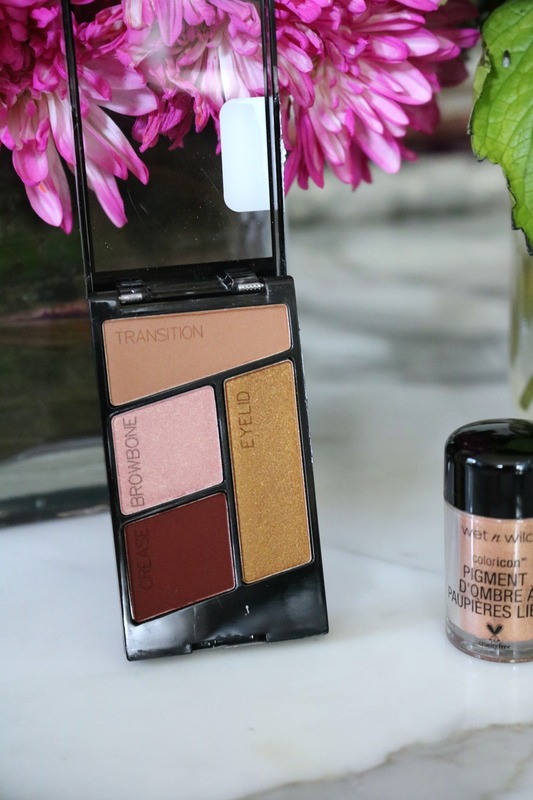 To be honest, they work equally well both ways and even pair nicely with the eyeshadow quads. At $3.99 a piece, I say get them all. You won’t regret it. No major surprise here, but the two highlighters of the Wet n Wild Fire and Ice collection are blinding! For quite some time now Wet n Wild has been unleashing “poppin” highlighters and their winning streak continues. I’m not sure exactly what their secret is, but the quality and consistency of these beauties blows my mine. Not to mention, at $4.99 a piece they out perform higher-priced counterparts from luxury brands. Honestly! Why even bother spending more for a highlighter when Wet n Wild has the game 100% figured out? When first looking at the blue “Halo Walkers” MegaGlo highlight I was a bit wary that it would have me come away looking like a smurf. But in the end, it is probably my favorite item of the ENTIRE collection. Worn on the skin it delivers striking frosty complexion that is oh so gorgeous and is absolutely wearable as part of your everyday makeup. Generally speaking, I honestly can’t tell a major difference between the two bronzers included in the Wet n Wild Fire and Ice collection. And if I had to name the products of the collection I’d most recommend you to pass on, it would also be these bronzers. Sure, at $4.99 a pop, they’re priced well but I’d much prefer you drop $5 on Wet n Wild’s MegaGlo Contouring Palette at the same price. Included in the contour duo is a fantastic bronzer that is much more worth your time. It’s so good that it’s my #1 go-to product when wanting to add some dimension and color to my face. It also works well as an eyeshadow, making it an absolute must-have. Other than the pretty embossed dragon atop the Fire & Ice bronzers, they really don’t stand out from the crowd. I know, I know. 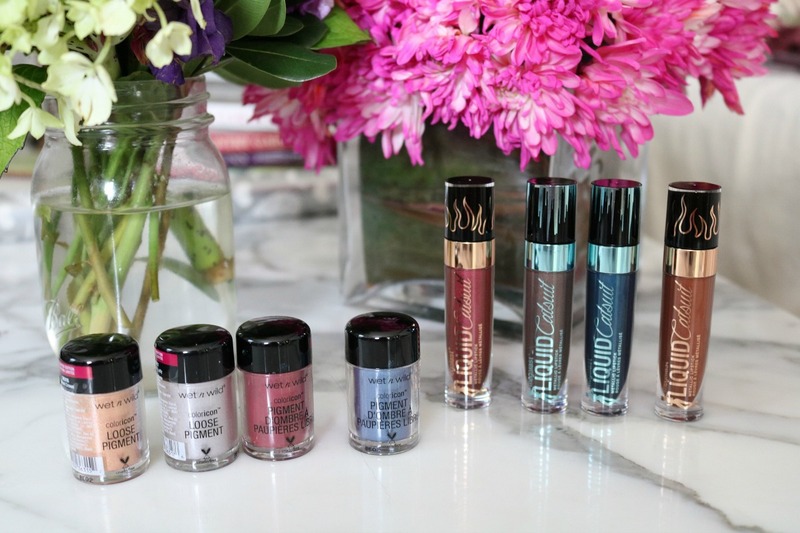 Metallic liquid lipsticks have been getting A LOT of attention over the last few seasons. So much so that I understand if you want to keep scrolling. But, while we’re on the subject of Wet n Wild’s Fire & Ice collection I obviously have to discuss the shimmery catsuit lippies. 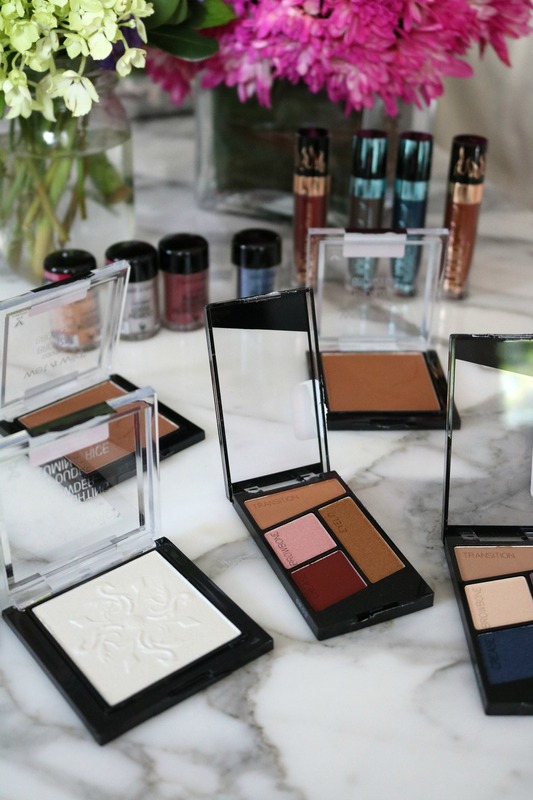 Pigmentation wise, these are absolutely no joke and when layered bring A LOT of drama to your makeup game. But before trying these, I was definitely hesitant. While I love Wet n Wild, their liquid lipsticks have always struck out for me and in particular I’ve found the metallic shades to be extremely gritty on the lips. (Almost like glittery glue. Ew!) Upon giving these a go, though, I was pleasantly surprised to find that these apply smoothly on the lips without any gunky sensation. They even hold up well against my nonstop daily intake of water and coffee. Pretty darn good for a $4.99 lip product if you ask me! If you’ve made it this far, *high five* to you for being awesome because that was definitely A LOT to look over. 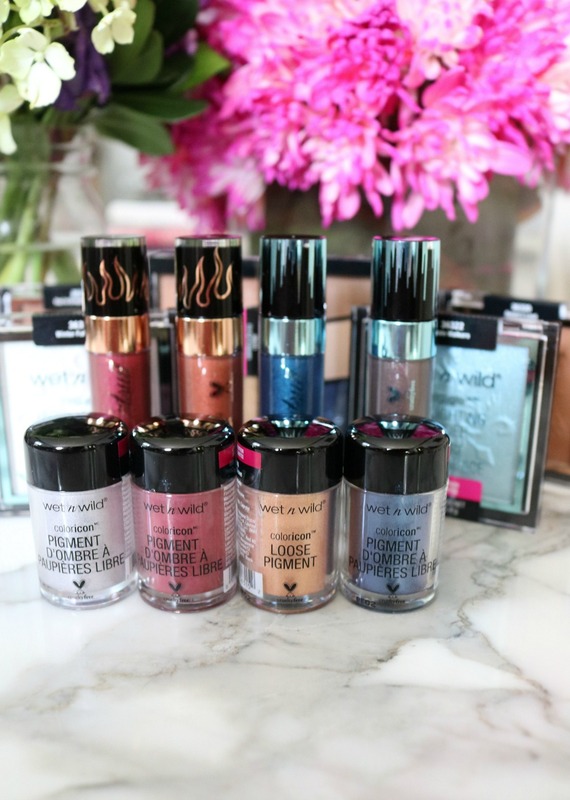 Wet n Wild did not hold back with their Fire & Ice collection and it’s been a lot of fun playing with everything included in the box set. Probably the most impressive area of the collection as a whole is just how well coordinated all of the products work together. Obviously the warm-toned products compliment one another as do the cool-toned bits, but it amazes me how easily you can cross back and forth between the two at the same time. 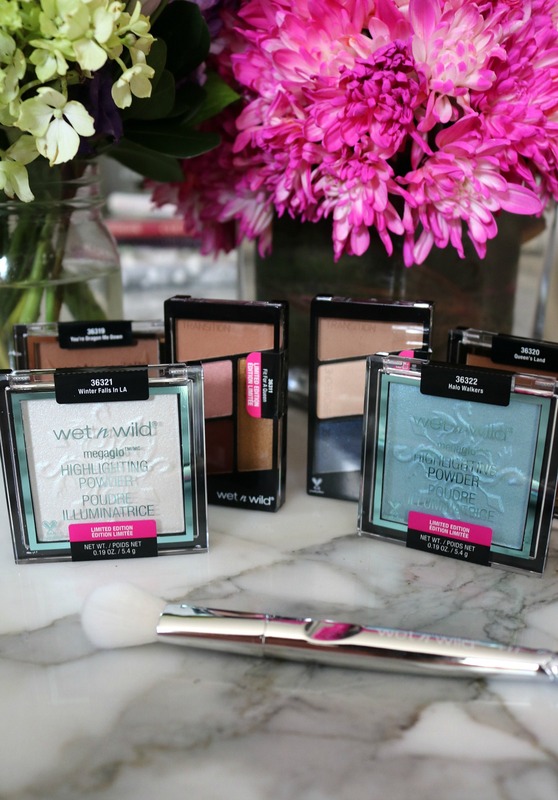 Wet n Wild’s team put thought into how the shades can work together and their effort continues to pay off every time I sit down at my vanity to concocat a new makeup look with the collection. The possibilities are virtually endless and I think you too would have a lot playing with the makeup. 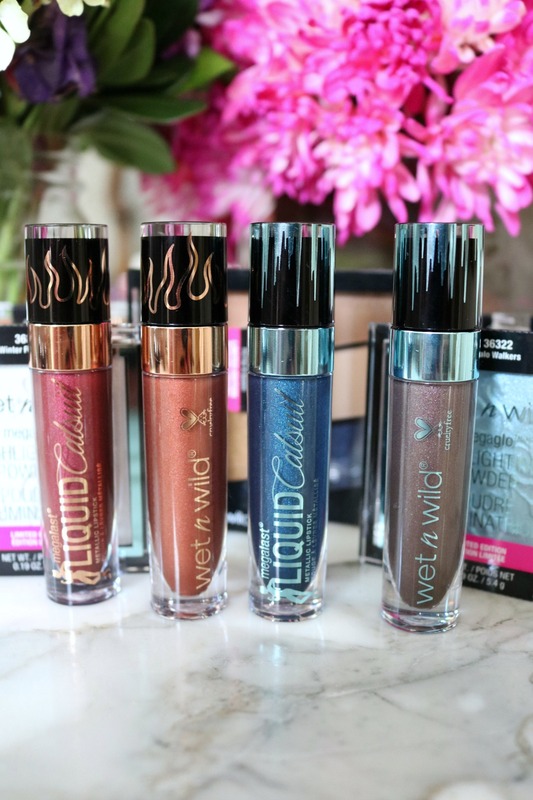 Have you tried anything from the Wet n Wild Fire and Ice Collection? 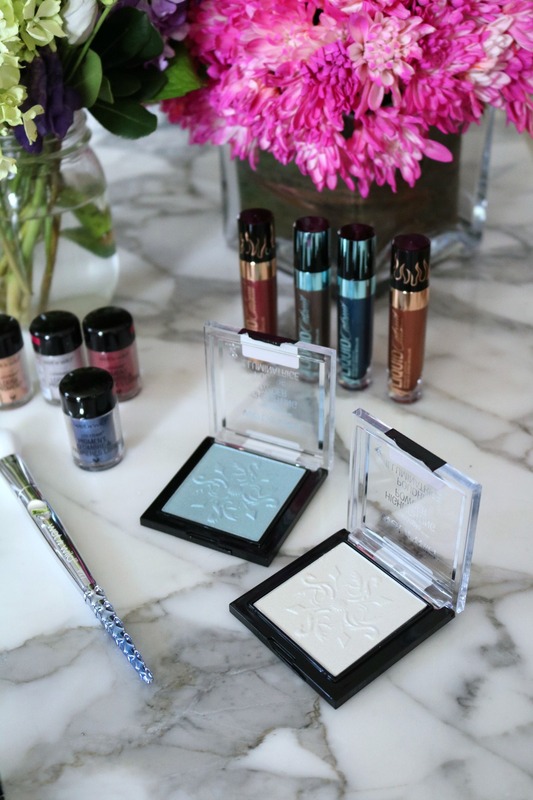 If you’ve tested out anything from Wet n Wild’s Fire & Ice lineup, I’d absolutely love to know your thoughts. As a whole I easily give the collection a solid A grade and would recommend everything but the bronzers as individual products. How has it worked out for you? While this post is not sponsored, it does include affiliate links.